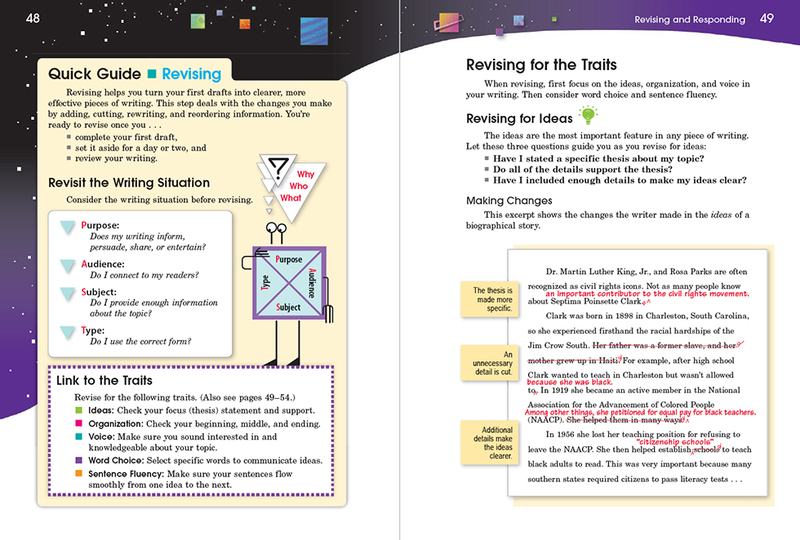 Write on Course 20-20 is the perfect resource to help 6th, 7th, and 8th grade students become better writers, readers, test takers, and learners. 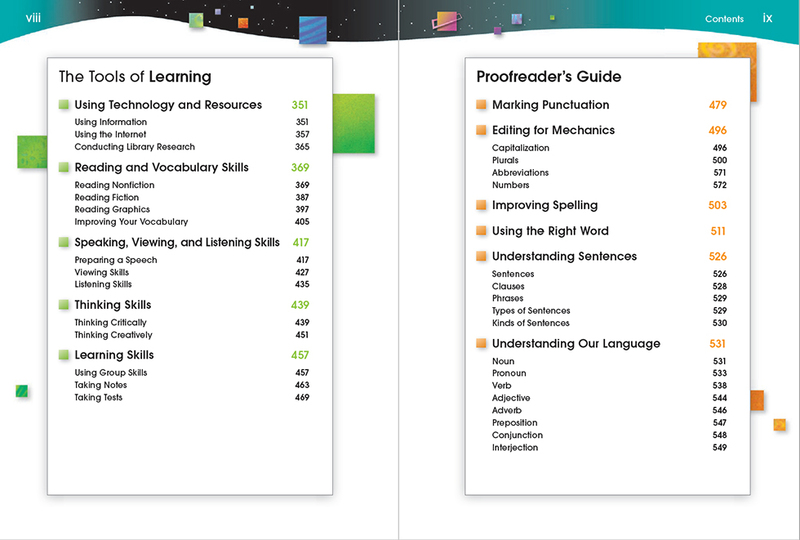 It overflows with writing guidelines, models, checklists, tips, and much more.The handbook has five major sections. The Process of Writing answers questions about writing, from selecting a topic to proofreading a final draft. 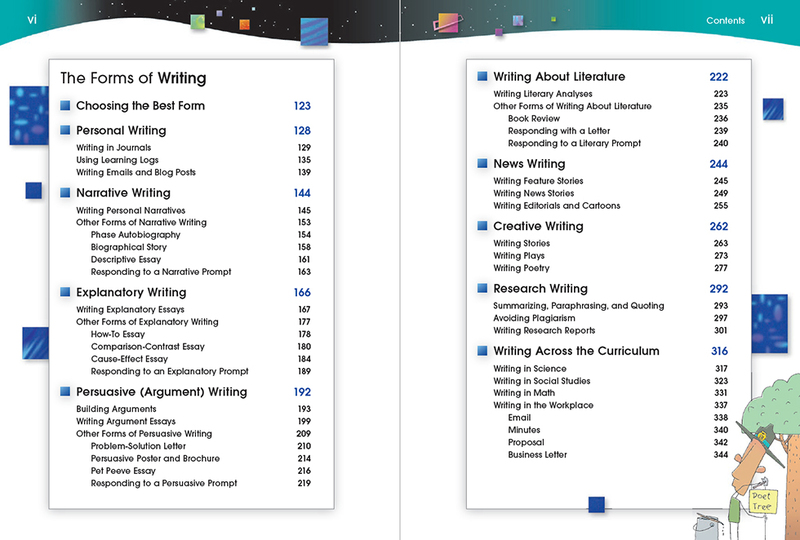 The Forms of Writing section contains help for writing essays, reports, stories, poems, and many other documents. The Tools of Learning section helps students effectively study, read, listen, speak, and take tests. 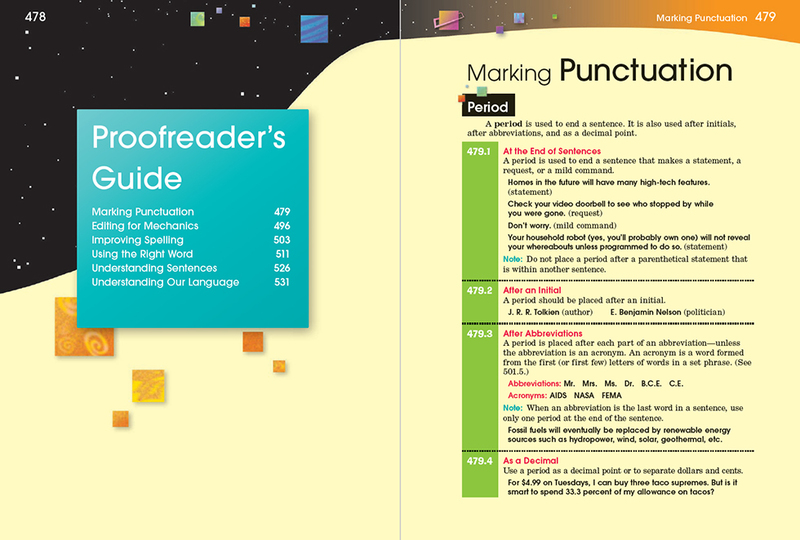 The Proofreader’s Guide provides rules and examples for punctuation, capitalization, spelling, grammar, and much more. 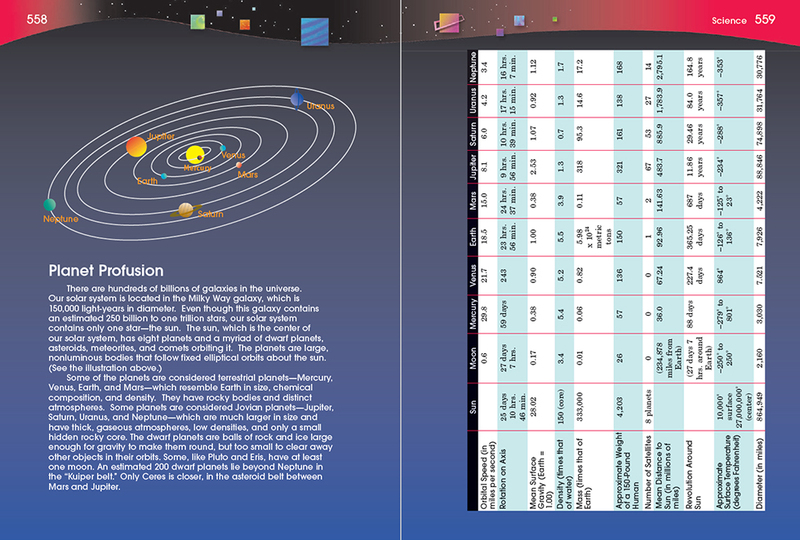 The Student Almanac equips students with fascinating facts for writing in English, science, social studies, and math! If Write on Course 20-20 looks familiar, you've probably used its predecessor: Write Source 2000! What's new in this edition? A free online Write on Course 20-20 Teacher's Guide walks you through each page of the student handbook with downloads, minilessons, student models, writing topics, videos, and more. A free online teacher's guide provides teaching suggestions, models, minilessons, topic ideas, videos, digital downloads, and much more. It correlates every page of Write on Course 20-20 to the Common Core State Standards. 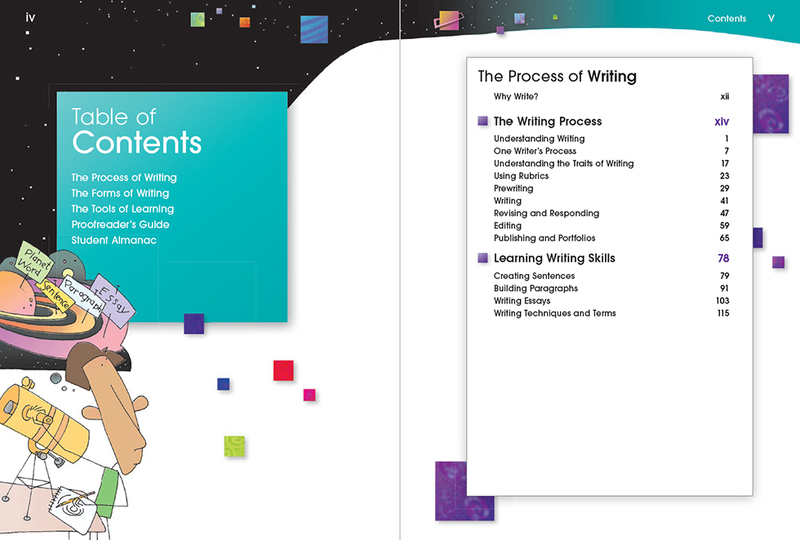 Also check out the Write on Course 20-20 SkillsBooks, which teach punctuation, grammar, mechanics, usage, and spelling for Grade 6, Grade 7, and Grade 8. Write on Course 20-20 . . .
connects with students using colorful art and an encouraging voice. leads students step-by-step through the writing process: prewriting, writing, revising, editing, and publishing. 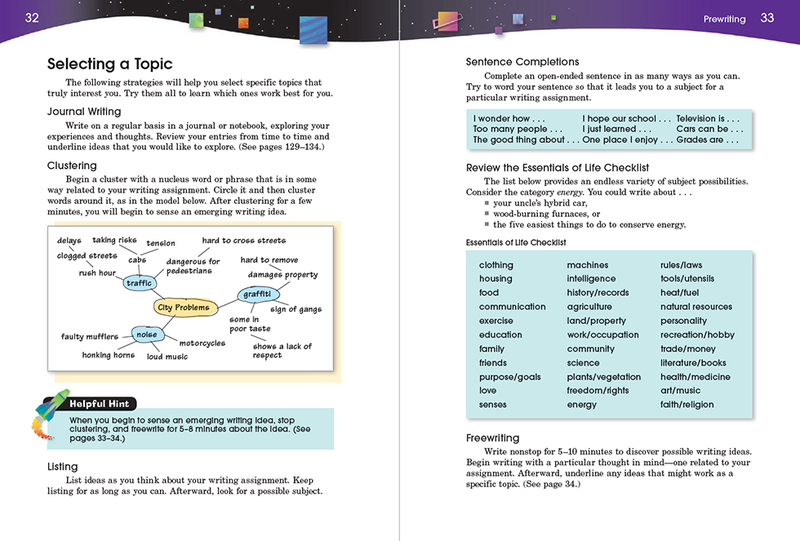 helps students write better sentences, paragraphs, and essays. models writing for different purposes: personal, narrative, explanatory, persuasive (argument), literary, research, imaginative, and assessment. 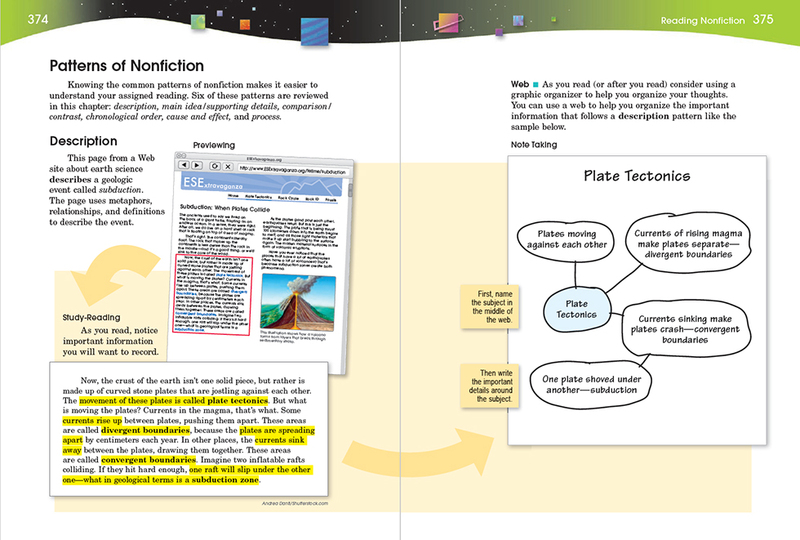 includes dozens of high-interest student models of writing. supports student writers in all classes across the curriculum. helps students improve learning: reading, spelling, speaking, viewing, listening, thinking, studying, collaborating, taking tests, and using technology. guides students when editing for punctuation, mechanics, spelling, usage, sentences, and grammar.